Sharon's passion is to teach others how to move from their own strength to God's Strength through a purpose-filled and intentional lifestyle of prayer. This handbook has many tools to enhance your prayer life. 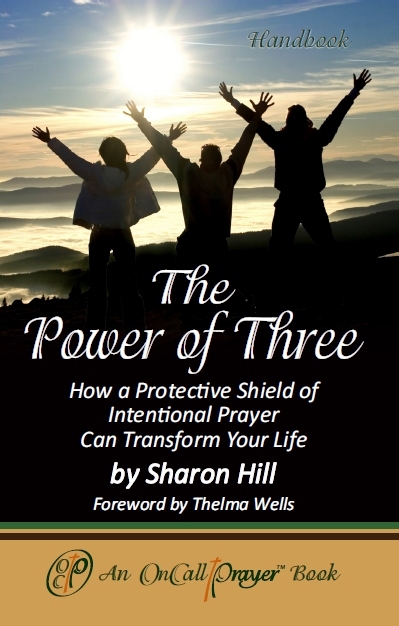 Learn how you can harness the power of prayer by forming a prayer shield of three warriors who are called by God to pray specifically for you. Intentionally covering your family, business, ministry and personal life with specific prayer is the key to sustaining and empowering your walk of faith.